OnePlus 2 Indian users : Please don’t install Oxygen OS 3.5.5 OTA. | Tech and me. OnePlus clearly mentioned on their forum that the VoLTE feature might not be working for all the providers and as it turns out Jio is one of them. LTE uses different frequency bands. Based on what speed you require your phone keeps locking itself to the band which suits it the most. Jio is providing its services in two frequency bands : 1800+ Mhz and 850 Mhz but OP2 in the new update keeps trying to switch to different bands and that is breaking something (most probably) because when you lock on to the above mentioned bands using some app like Network Signal Guru then everything works properly. PLEASE NOTE that I am not an expert in LTE and I am just taking a guess, this might be wrong too. What to do if you have already updated? Turn off VoLTE. Tu turn off VoLTE : Settings -> SIM & Network Settings -> VoLTE. This did fix problems for a few people on OnePlus forums but it is very less likely to work. Use only one SIM and make sure it’s not JIO. Problem is with the LTE band selection so if you use any LTE network then you will face problems for sure. 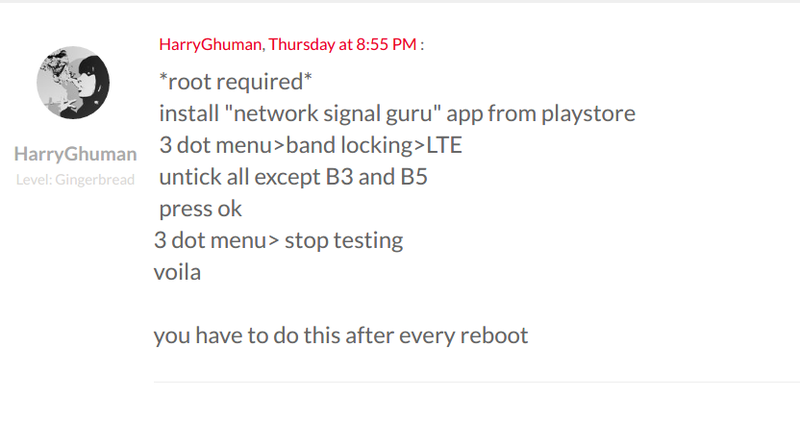 If you are rooted then there is this pretty awesome solution as mentioned in OnePlus forums which helped me ( I have a rooted OP2). Using this solution you can use both SIM data as well as VoLTE. Wait for the fix. OnePlus has accepted the problem and are working on releasing a fix very soon. OnePlus has released a fix for this problem in Oxygen OS 3.5.6. I have tested it and it works without any issues.